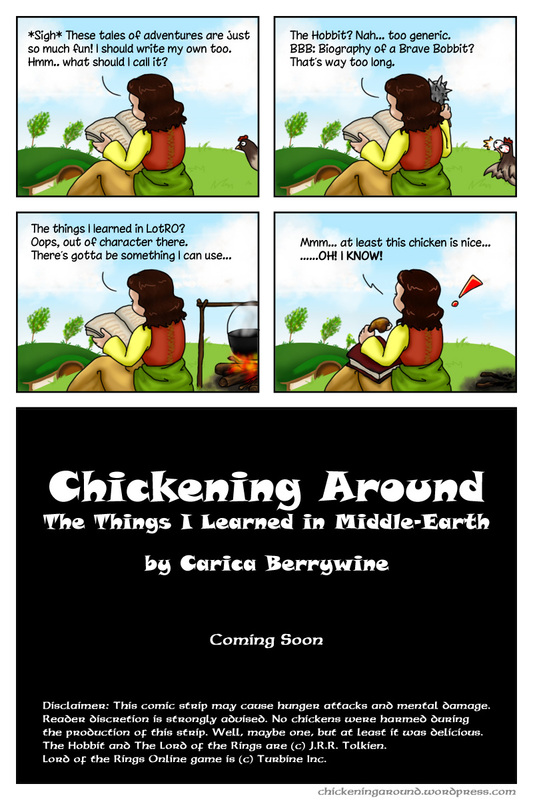 Chickening Around is a LotRO-related webcomic blog created by Carica Berrywine of Landroval with new comic strips updated once/twice a month, as featured in the Free People's Press and the LOTRO Beacon! Note: This thread will now be updated on Creative Endeavours forum instead of the Fansite News forum since it fits better there. Last edited by SnowCrasher; Mar 31 2019 at 11:07 PM. After 6 years of hiatus, there is finally a new chapter! Thank you very much for featuring Chickening Around on Community Spotlight in The LOTRO Beacon: Issue 62! New chapter is out every two weeks!